Boy, the ones I really feel sorry for are the poor Cubs fans who sat through this miserable game at Wrigley. The Cubs were once again defeated by the Milwaukee Brewers and are now tied for first with St.Louis. The Cubs had a golden opportunity to get a win, with Brewers ace Ben Sheets throwing off a mound to live batters in two weeks, and boy was he rusty. Sheets was out of the game by the fifth, giving up 4 runs. He only gave up three hits but set a career high in walks, giving up seven of them. Think about that. Five innings, and ten runners on base and we only get 4 runs? The Brewers on the other hand pounded the Cubs pitching staff. They finished with 10 runs on seventeen hits and four walks. Jason Marquis was horrible, also going five innings but giving up 5 runs on ten hits and one walk. Big time PED user Mike Cameron came back to the Brewers line up and did a ton of damage, Cameron, Corey Hart, Bill Hall, and JJ Hardy all had three hits against the Cubs pitchers. Just as bad as Marquis was the middle relief. Kevin Hart came into the game in the sixth inning and gave up two single and a walk. With the bases loaded and no out, Hart got Ryan Braun to hit into a fielders choice and Prince Fielder to hit into a double play. Then in the seventh, everyone in the bullpen decided to stink it up at the same time. Hart struck out Corey Hart, then gave up two more singles. Lou brought in Sean Marshall to face lefty pinch hitter Tony Gwyn Jr, and proceeded to walk him to load the bases with one out. Lou pulled Marshall for Michael Wuertz, and Wuertz walks Jason Kendall with the bases loaded to give the Brewers another run. Wuertz got Weeks to line out to the shortstop, but then gave up a single to Cameron, scoring two more runs. as a Cubs, going 0-5. Theriot was 1-5, Lee was 1-4 with a walk and a home run, Ramirez was 1-2 with three walks. That means the 1-2 combo of Johnson and Theirot went 1-10. Not going to win like that. Fukudome also did terrible, going 1-5 with no walks. Thanks for putting him on the cover Sports Illustrated. 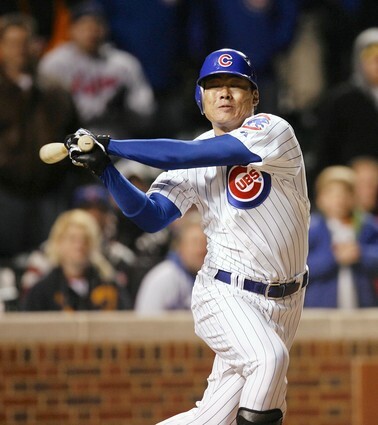 Fukudome has gone into a tailspin, and so have the rest of the Cubs. Fukudome has hit .211 in the five games at Colorado and Washington and that average will go down after tonight. The once red hot Cubs offense can’t get a clutch hit to save their lives. They better get it together quickly. They still have two more with Milwaukee and three more with St. Louis. The Cubs still have to face Jeff Suppan, who the Cubs lost to in the opening series, and Yovany Gallardo pitching on Wednesday. Gallardo may be the most talented pitcher the Brewers have. 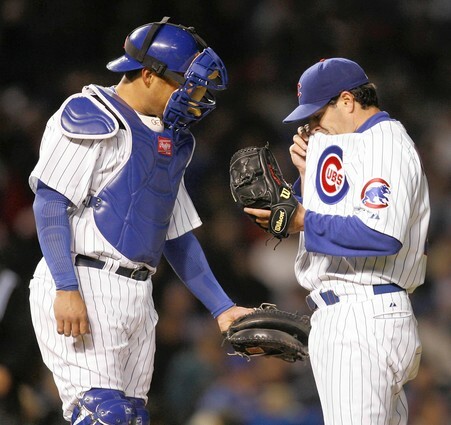 He will face off against Zambrano, which means Z can’t pitch against St. Louis. The Brewers have taken three of the first four games these teams have played. Can the Cubs respond? I sat through that suckfest freezing my *** off. 20 minute delay for a sick umpire. Why put Hart and Wuertz in? I think it’s time for Wuertz to be sent down, he usually goes down for a couple weeks and comes back up on fire. Maybe it’ll work again. Bring up Gallagher, Petrick or Pignatello to replace him. I’ll be at the game once again. Really need the W today.